Pirates plagued British trade routes throughout the 19th century. This map, part of our Pirates! 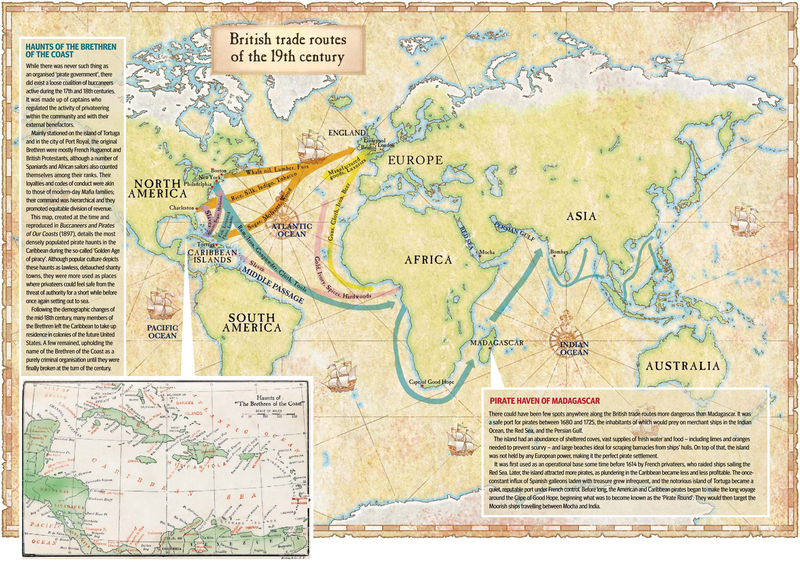 – the Royal Navy and the suppression of maritime raiding, 1620-1830 feature, shows the Royal Navy’s trade routes of the time, which commodities were imported from which countries, and where the most dangerous and densely-populated pirate havens were. Click on the map below to load a larger version.